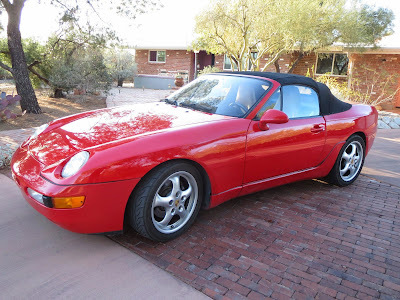 Just A Car Geek: 1992 Porsche 968 Cabriolet - A Bargain Sports Car, But For How Long? 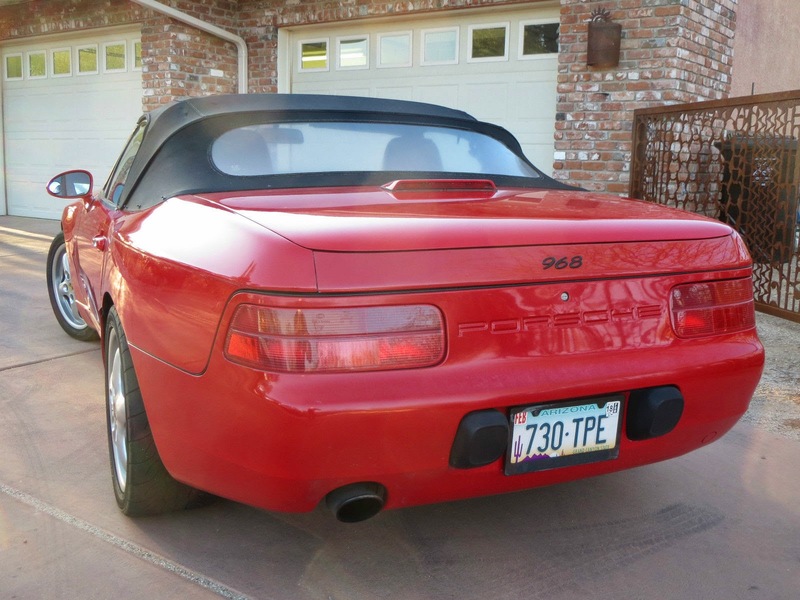 1992 Porsche 968 Cabriolet - A Bargain Sports Car, But For How Long? Introduced in 1992, the 968 was the last of a line that started with the 924. It was originally going to be an upgraded 944 ("S3"), but by the time Porsche engineers finished their upgrades, they had replaced 80% of the car and decided to introduce it as a new model. 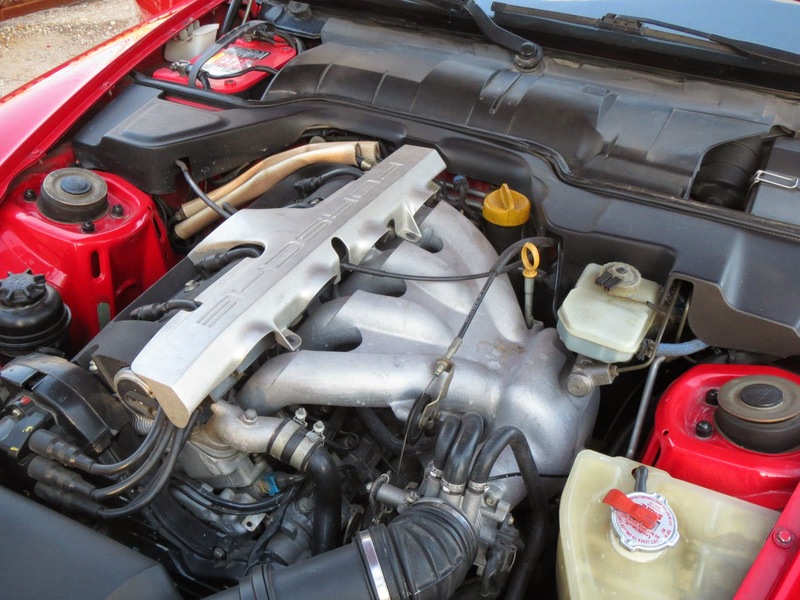 Like the chassis, the engine was based on the 944, but was significantly upgraded. It was a 3.0 I4 (The biggest 4 of its time) and had variable timing. 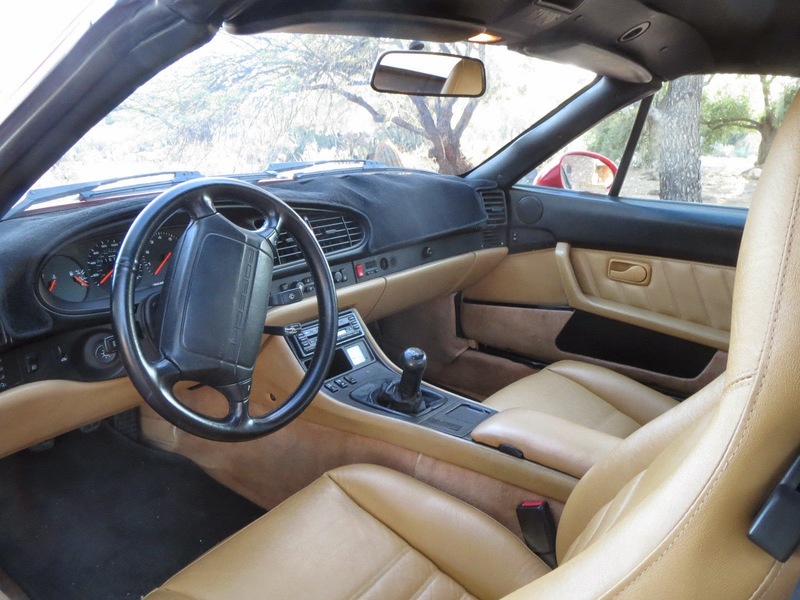 It came standard with a 6 speed manual transmission (very unusual in 1992) and was available with Porsche's ground breaking Tiptronic automatic. You could see its 924 / 944 roots in the body, but the 968 had design cues from the 928 and enough features of its own to make it look thoroughly modern. It still looks good today. 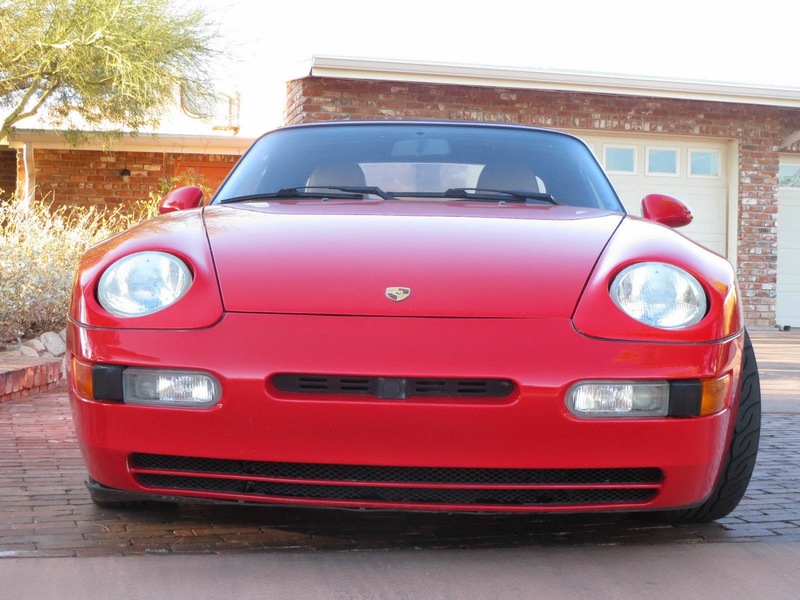 The newest 968 is now almost 20 years old, but it can still hold its own with modern sports cars. 60 MPH comes in less than 6 seconds. Handling is very good, due in no small part to the car's near 50/50 weight distribution. Front airbags and ABS, not very common in 1992, were standard on the 968. According to most sites, there seems to be nothing scary about the car mechanically. Engines are said to last over 200K with regular, typical maintenance. Timing belts need to be replaced every 40K miles or 4 years. It's not a cheap or easy job, but it's a lot cheaper and easier than rebuilding the engine. The body is galvanized and rust is not much of a problem. The interior, which seemed to be available with an infinite number of color combinations and trims, holds up well overall. The 968 is not a common car. Just over 4200 made their way to the US from 1992 through 1995. The coupe outsold the convertible by roughly 200 cars. This car is a 119,000 mile car that is owned by a "five Porsche family." It spent its life on the west coast and appears to have been well maintained. Porsche freaks never fully accepted the front engine 924/944/968 (and 928) cars, which have kept their prices fairly low. But, I suspect that as front engine Porsches (Cayenne; Panamera) become more common and accepted, these cars will get a second look and prices will rise. If you're looking for a 968, this might be the right time, and this car might be worth looking at. I'm guessing these things have interference motors, which means that if the timing belt goes, the motor goes kaboom. Yes, but that is more common than not on cars with timing belts.